Hats Off to History – A Berks History Mystery! 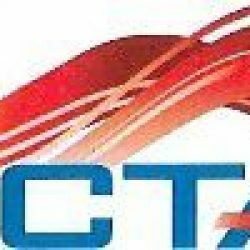 The South Central Transit Authority (SCTA) is developing a Transit Development Plan (TDP) for fixed-route bus and paratransit services, including BARTA services in Berks County. The TDP will serve as a guide for meeting future demands for transit services and increasing the overall use of public transit. More information about the TDP can be found on our website at www.sctapa.com . As you may recall, we held a public meeting and conducted a community survey, business survey, and customer satisfaction survey for the TDP development in November and December 2017 . Based on input from the community and a detailed evaluation of existing services, draft recommendations for future services have been developed. You are invited to an Open House Public Meeting to review and provide input on draft recommendations for future BARTA transit services. We hope you will join us on Tuesday, April 17, 2018, anytime between 4:00 – 7:00 PM at the BARTA Transportation Center (BTC), sth & Cherry Streets, Reading, PA 19602. Please post and distribute the attached flyer for the meeting with other members of the community. If you have any questions about the TDP or public meeting, please contact Jeff Glisson -­ SCTA Director of Capital Projects/Planning at (717) 358- 1928 or [email protected]. We look forward to hearing your thoughts at this meeting.